Are you tired of relying on outdated data and old methods to manage your modern-day marketing campaigns? Consider marketing resource management software. The benefits are abundant and the results remarkable if you choose wisely. This strategic solution ensures brand compliance and consistency while increasing productivity and improving your marketing ROI. Here are some of the core features you should look for when shopping for marketing resource management solutions. What should be at the heart of your marketing resource management software solution? Look for a web content management system with dynamic data capabilities. A brand portal or intranet will become static with outdated information if you don’t keep updating it. Rather, you should revise your site with new content. Of course, that takes time, and unless you know how to write HTML, you’re likely going to need help from a web designer to make any changes or additions. With a web content management system in place, however, you’re taking matters into your own capable hands using dynamic data. That way you can easily create fresh content without knowing anything about how to write code for a website. The result? Robust web pages and landing pages, plus e-commerce listings your authorized users will find easy to navigate and helpful to use. 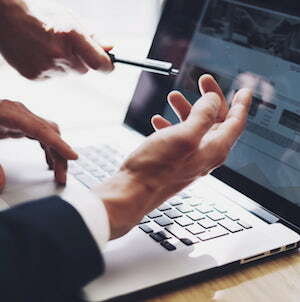 A web content management system allows you to create and update content via a secure, streamlined portal where users access your brand’s marketing collateral. Inside, they can find things like the latest brand marketing information and resources, branding guidelines, media plans, digital assets, even email signatures, just to name a few of the many possibilities. With a web content management system, you can eliminate all these headaches associated with back-and-forth emails. It’s one of the many benefits of marketing resource management software. If you have a franchise brand, distributed marketing team, or multiple retail locations, look for marketing resource management software that provides customizable marketing templates. It’ll save you time and money. Here’s how it works. Your graphic designers create the original advertising and marketing templates for your brand. Then your local marketers access the templates in the portal. It’s a simple process. Since you’ve already decided what areas they can modify for their local customers, they can’t just change anything they want. But, it does give them the freedom to make their own choices on certain design elements. For instance, they could change the main photo, targeted local copy, and promotional offer details. The chosen font, colors, and design/layout remain the same. This ensures your brand standards stay intact. Let’s say you conceptualize a new advertisement you’d like to use across all your locations. Your designers create a number of original, approved templates of varying sizes while affording each location the option to change certain aspects to match their local needs. 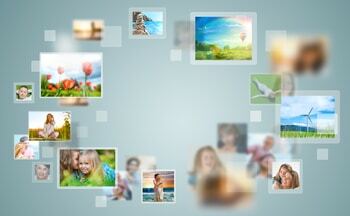 Local marketers may have the choice to swap out a new photo based on their particular audience. (A selection of approved images is also available within the portal.) They can adjust the headline by simply entering text into a form field, then they can alter the color scheme, and insert their local contact information. These are just a few examples highlighting the convenience of customizable marketing templates. Your local users feel empowered to create their own marketing materials while you enjoy the peace of mind that comes with brand consistency. As a brand manager, you and your design team likely get a lot of requests for marketing collateral. Pictures, graphics, logos, audio and video files, and more. Rather than fulfilling each request one by one—thus taking up a big chunk of your daily duties—look for marketing resource management software with a digital asset management (DAM) system. A DAM system is a must-have feature for your brand. Consider a convenient, cloud-based marketing resource management solution that includes varying levels of storage, depending on your needs. That way, you won’t have to send your users the latest versions of your brand’s marketing assets. Instead, they’re all located in one simple, searchable location. Here’s an example. Perhaps you have promotional photos you’d like to make available for your users, but each user might have a different agenda for these approved images. Some need a hi-resolution version for print purposes, while others just need a lower-res .jpg or .png file to share in an e-newsletter or on a website. You can supply all the possibilities in one convenient location so authorized users can take their pick. By making all your digital assets available via marketing resource management software, you significantly simplify the process of organizing and sharing your marketing materials. When you’re shopping for marketing resource management software, look for wide-ranging e-commerce capabilities. Your stakeholders have a unique voice within your organization. Empower them with the marketing tools they need using an e-commerce software system. Authorized users should be able to quickly and easily order branded materials and marketing collateral with a few clicks. You, the digital marketer, on the other hand, will want to effortlessly access your storefront to view orders in an instant, plus manage inventory, set subscriptions, and much more. Pay particular attention to the payment (and shipping) process. By providing the greatest number of payment options, you’re creating a simple system for your users to work with. Rather than offering only a standard credit card payment option, you should include a PayPal or Amazon account option, too. Then there’s shipping: USPS, UPS, FedEx, DHL International. The more variety you provide, the better you’ll be servicing your users. Do you want to update several items with the same information? Rather than making the changes to each item individually, look for a batch processing feature that allows you to update all these products at once. It’s a tremendous time saver, especially if you have similar items that may require frequent updates. Look for an extensive list of e-commerce capabilities that provides plenty of useful features. That way you’ll have the tools you need to improve your e-commerce strategy. Your sales and marketing data is telling a story—if you’re listening. As a brand manager, look for marketing resource management software complete with robust reporting capabilities. That way, you can continually analyze and improve your marketing strategy. The software should track e-commerce activities, daily/monthly sales figures, website visitors and portal usage, inventory, coupon redemption, and more. In other words, it needs to be powerful. It also needs to be easy to generate, customize, and analyze. Sound impossible? It isn’t, as long as you’re working with the best marketing resource management solution. Consider the things that will help you speed up production, reduce wasted marketing materials, expand sales, and provide a better focus for your marketing efforts. Would you like to receive an alert when it’s time to reorder an item? Look for a low inventory report that includes the ability to replenish your stock directly from the report page. Are your promotions proving effective? Make sure you can track their usage by name and/or the number of times they were used. Would you like to identify your largest buyers? Look for a “top customers report” that details their sales volume and the number of orders they placed. Are you discouraged by abandoned virtual shopping carts? You should have access to customer information so you can reach out to them to save the sale or find out why they left items in the cart. How many affiliate referrals are you getting—if any? Look for monthly sales summaries that highlight the total commission amounts earned. Having access to loads of data is one thing. Knowing how to read and understand it all is another. Look for marketing resource management software that’s loaded with data, but be sure it’s easy to work with. When you have the right information, you can build a better business. 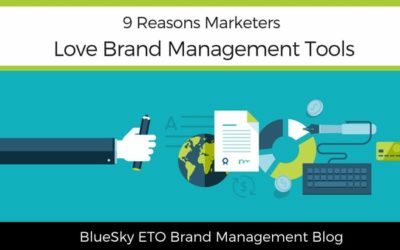 BlueSky ETO offers robust reporting software with game-changing insights for automated marketing campaigns. Check out the full list of the capabilities. 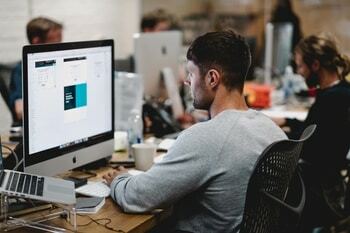 Your marketing efforts are only as strong as your data, so your marketing resource management software should include API (Application Programming Interface) integration that streamlines your campaigns and delivers clear measurable results. APIs allow for data communication across a variety of software systems. The software allows different applications to talk to one other. Look for an API infrastructure that’s built to ensure clean data input, because if you have duplicate contacts or conflicted formatting, it could damage your marketing strategy. Data cleansing is an example of API integration and it’s an important feature of marketing resource management software. “Dirty data” has become an American business epidemic of sorts. Estimates show that only about 3% of data is accurate. That means there’s a lot of bad data floating around and it costs U.S. businesses over $3 trillion each year. How much is it costing your company? 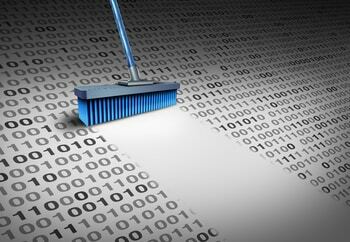 Data cleansing finds and corrects bad data so you have accurate information. What are some data quality issues as they relate to your marketing efforts? The most common include bad dates, letters that represent numbers, international character problems, multiple languages and units of measure, and of course, human error. Data cleansing might require that some of these fields be corrected or removed—or at least given some value. Dominos Pizza uses data to drive their decision making when it comes to selling pizzas. Using a multichannel approach to their marketing efforts, Dominos captured data from seemingly everywhere their customers interacted with them. They looked at text messages and social media. They discovered what devices their customers were using, and much more. Eventually, they arrived at 85,000 data sources—each day. Yes, Dominos knows a lot about their customers. Then they mixed all that data together with USPS geocode information, plus demographic and competitor data, for the most in-depth customer segmentation they could muster. As a result, Dominos was able to accurately assess their customers’ buying patterns. They identified multiple consumers in one household and determined who the dominant buyer was. They saw who reacted to their coupons and through which channel. All their data findings allowed them to work better with their local restaurants to determine what the best coupons would be and what upselling techniques might be most effective. What’s the data point here? Dominos has an effective marketing strategy because of clean data. Perhaps you have a business where you use customer-generated data to develop your online ordering system. In other words, you accept online orders from anyone, but you target your marketing to a particular audience. 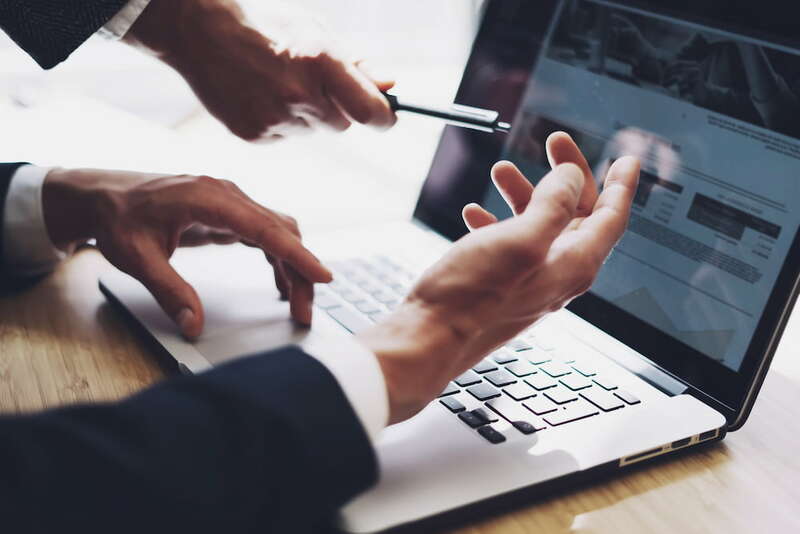 Without regular data cleansing that comes with effective brand management software, you could completely miss the mark when it comes to who you’re marketing your product or services to. Now that you know what to look for when you’re shopping for marketing resource management software, it’s time to find the best marketing resource manegment solution for your needs and take it for a test drive. 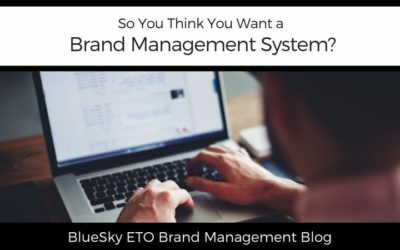 BlueSky ETO promises to deliver on all the aforementioned features while providing a solution that’s engineered to order for your organization. 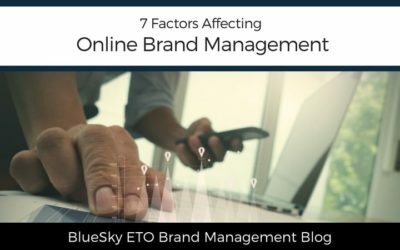 You won’t be buying brand management software “off the shelf,” so to speak. You’ll be investing in a custom-designed solution that perfectly fits your brand’s needs. Schedule a free consultation to learn how marketing resource management software can help your marketing efforts today. Tired of relying on outdated data and old methods to manage your marketing campaigns? It's time for marketing resource management software. This looks really promising!! It makes everything more efficient and workable. I wished I have read about this in my initial phases of starting my website! Thanks for this! Such great advice and tips for those looking into this type of software! Sure this will be useful to many people. Wow this came to me at the perfect timing as we have been looking for new tools for our virtual assistant business! This is very helpful information for businesses looking to grow. Having this data is essential to know your audience and determine how to use your resources for success. I can imagine this would be so useful for a small business or corporation trying to get their social media and branding off the ground. I know I can apply some of these great insights to my blog as well. These are lots of information to take. I got to learn some tips that I could use. thank you! This was very informative! This will be a great tool for me to bookmark as I become more serious in blogging. This post is really helpful for someone who, literally, has NO knowledge about this topic. I enjoyed reading the Dominos case study!! This post is very helpful. Thanks for this list and I will save it for future need. Right now, my blog seems not needing this yet. I love the idea of having customizable templates. I think all of the software features you’ve mentioned make this very attractive for marketing. I’m a huge supporter of streamlining efforts and making things as easy as possible. This definitely sounds like such an easy way to run things with reduced headaches. You provide such great detailed and in depth information! Thank you for this insightful post. These sound great. I really think the customization of marketing templates would most certainly save time and money. So much valuable information. It definitely seems like having a comprehensive management system makes the most sense for your biz. This post was so super helpful! I know that there are so many different options out there to be looking into. I am loving all of the information that you have provided here as it is all extremely useful, especially for myself. I am a blogger and honestly a lot of this is something that I need to focus more on and I am bookmarking this to come back to as there is loads of serious info here. Thank you! Thanks for sharing! This post was very insightful. I’m a new blogger and will definitely keep this in mind when marketing my blog.